Just like with people, the story of every vineyard is unique. From selecting the perfect location to cultivating heritage vines, each story is punctuated with the distinct markers of taste offered by the glass, bottle or case. At Almaden, we take pride in the singular heritage of our vines, as well as the cultivation and techniques we've used to create our memorable wines over the last 158 years. Almaden's rich history spans nearly 16 decades. In 1852, founder Etienne Theé planted California's first vineyards with vines from his home in France, naming it Almaden Vineyards after a local mine in the Los Gatos area. We are proud to say that California's winemaking began here, and since then, we've become one of the leading winemakers in the country. After merging with Madrone Vineyards in 1951, Theé's son-in-law, Charles Lefranc, took control of the winery. Lefranc was a winemaker inspired by the traditional methods of the Old World, drawing lessons and inspiration from European winemakers. 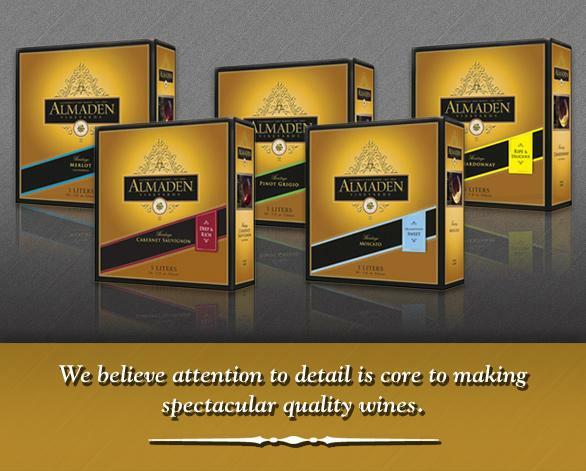 Only the finest cuttings from Europe were planted under his watch, resulting in a fine product that attracted many to the superb taste of Almaden wines.